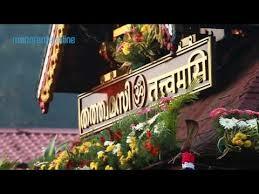 Sabarimala is one of the most famous temples in the world. The Sabarimala Ayyappa temple is situated in Kerala. It is the largest annual pilgrimage in the world. In south India, the most powerful devasthanas are Tirupati and Sabarimala . You can visit Tirupati in any day for darshan because there are no seasonal restrictions. But Sabarimala has a particular season for pilgrimage calling “Mandala kalam”. Mandala kalam starts from the first day of ” Vrishchikam” month of traditional Malayalam calendar and ends on the eleventh day of the “Dhanu” month. The Mandala kalam lasts for a period of 41 days. In the Gregorian calendar, it mostly comes in December January months. Every devotee should be taken vrutha, some rules and regulations before visiting the sanctum. Those who are going the first time to Sabarimala called “Kanni Ayyappan”. He has special rules and regulations and rituals to be practised. If you are a Kanni ayyappan, you may be not familiar with The Ayyappa Sarana Mantras. Ayyappa Saranam vili is one of the most important things should be followed by ayyappa devotee. Ayyappa Saranam vili should be offered to Lord Ayyappa in every day before sunrise and after sunset. For Kanni Ayyappan it will be a little difficult to keep in mind the ayyappa saranam vili mantras. In this article, you can find 51 Ayyappa Saranam vili mantras for Kanni Ayyappan. All these mantras are arranged in an order of Sabarimala pilgrimage. The first part of saranam vili offers to the idols present in the sannidhanam such as Lord Ayyappa, Kannimoola Ganapathi, Malikappurathamma etc. 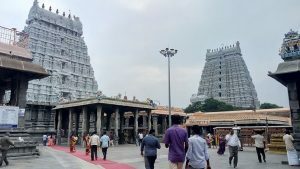 The second part arranged as a journey from Erumeli to Sannidhanam. It will be very easy to keep in mind for Kanni Ayyappan. All the given Ayyappa Saranam vili are selected from traditional Malayalam usage. So all these are very simple and memorable. For Tamils, there will be a small difference but mostly saranas are same. 1. Swamiye .. saranam ayyappa..
2. Harihara suthane… saram ayyappa..
48. Swamiyude sathyamaya pathinettam nadiye.. 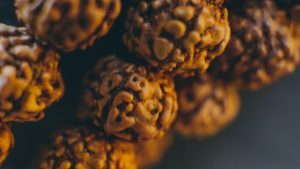 If you are a Kanni Ayyappan, I hope this article is helpful. If you have any doubts and suggestions, please comment below. Previous PostWho is Naishtika Brahmachari? I'm a self help traveller. Always ready to help you.